Lichen mostly unaffected by low-severity fires. In severely burned areas, nearly all lichen were gone, even 16 years after a fire. As increasingly hot and severe wildfires scorch the West, some lichen communities integral to conifer forests aren't returning, even years after the flames have been extinguished, according to a study from scientists at the University of California, Davis. 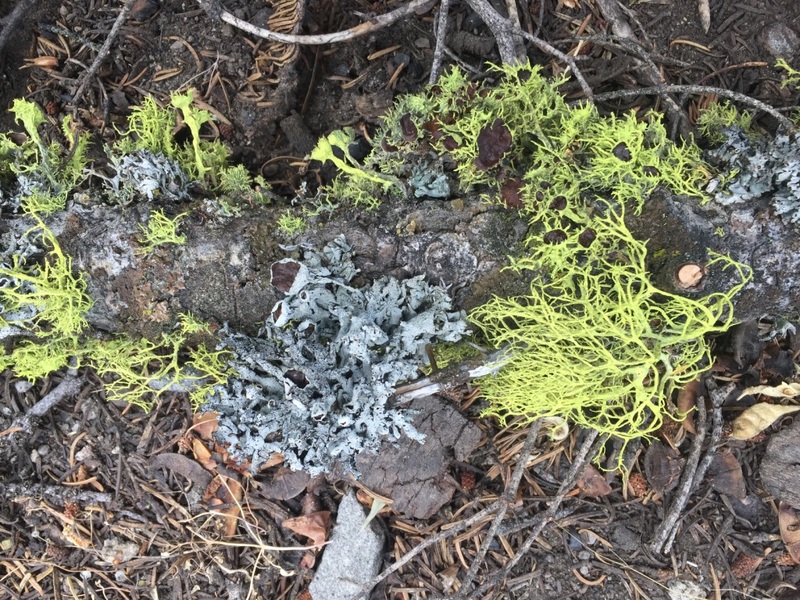 For the study, published Aug. 9 in the journal Global Change Biology, researchers sampled lichen communities in about 100 study plots across California's Sierra Nevada region. Five wildfires had burned, at varying levels of severity, in and around the plots between four and 16 years before the study's sampling. But areas that experienced higher severity wildfires had significantly lower abundance and diversity of lichen. In severely burned areas where most of the trees died, nearly all the lichen were gone, even 16 years after the fire. 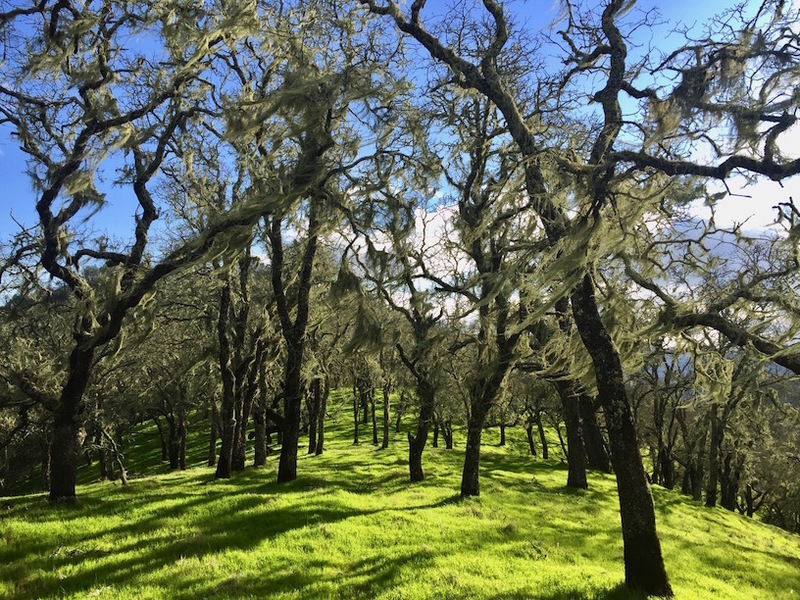 The lichens' recovery is likely held back by the loss of tree canopy after the fire, the researchers said. The hot, dry microclimate left in the forest post-fire is not conducive to lichen growth. 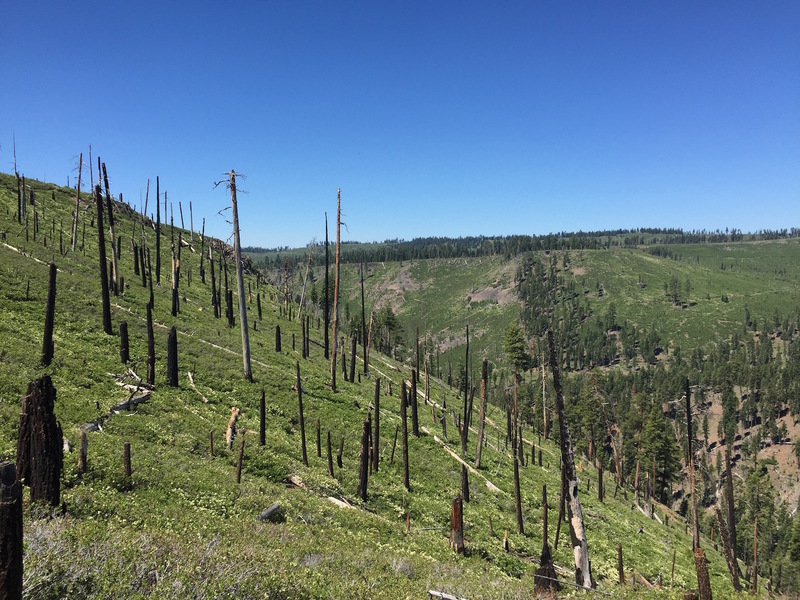 This indicates that lichen communities burned in Sierra Nevada forests likely won't recolonize until mature trees regrow and the forest canopy is restored. This may exacerbate the effects of climate change that already threaten lichens. 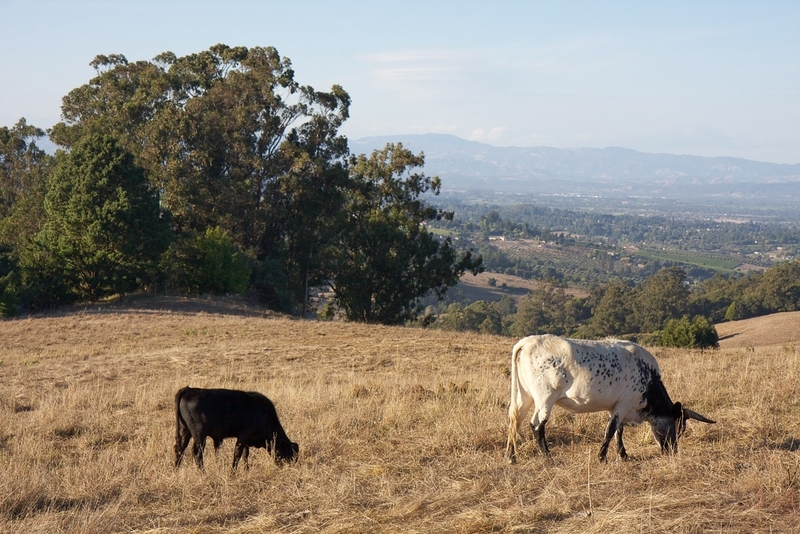 The study's co-authors are Hugh Safford of UC Davis and the USDA Forest Service, Pacific Southwest Region; and Heather Root from Weber State University in Utah. The research was funded by the USDA Forest Service, Pacific Southwest Region. Kat Kerlin, UC Davis News and Media Relations, 530-752-7704, 530-750-9195 (cell), kekerlin@ucdavis.edu, Kerlin will be out of the office Aug 9-13. The news that Americans are getting about California's devasting fires is not being hyped up by the media, said UC Cooperative Extension area fire advisor Lenya Quinn-Davidson on the nationally broadcast NPR program On Point. 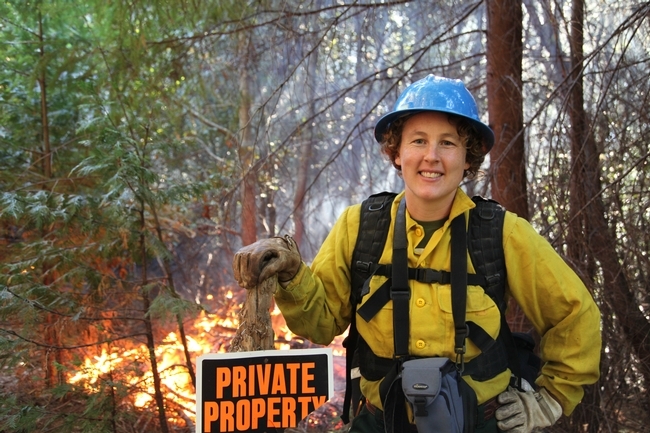 Host Eric Westervelt of WBUR in Boston got a Northern California perspective from Quinn-Davidson, who works with communities in Siskiyou, Trinity and Mendocino counties on managing the threat of wildfires and is the Northern California coordinator of the California Fire Science Consortium. "I definitely don't think the situation is being hyped up," Quinn-Davidson said. "I'm in Ukiah and there's a thick blanket of smoke. Everyone can feel the tension of the Mendocino Complex Fire." Quinn-Davidson said she grew up in the vicinity and, back then, major fires like those burning today only happened every few years. Lately, such super fire seasons are happening every year. She said it's time for Californians to take a different approach when thinking about fire. "Fire is the only natural disaster that we fight against," Quinn-Davidson said. "With hurricanes and earthquakes, we adapt and try to identify vulnerabilities and change our behavior. We haven't treated fire like that. We need to learn how to adapt and make changes that make us more resilient to fire." On Point is NPR's only call-in program. One caller asked whether climate change has reached an irreversible tipping point at which little can be done to reverse the damage that is causing extreme flooding, heat, hurricanes and wildfires. Quinn-Davidson said she offers hope to the people in communities she serves. "They're not powerless," she said. "I don't want people to feel that we are beyond some tipping point and they should just throw in the towel. I think we need to feel empowered to make the changes we can make - whether on a personal scale, at at the mid-grade community scale, or if it is taking political action to make larger change ... We still have some place to make a difference. I really believe that." Michael Mann, professor of atmospheric science and director of the Earth System Science Center at Pennsylvania State University, was also a guest on the On Point program. He said that, as a nation, we may have breached a different tipping point - a tipping point in public consciousness. 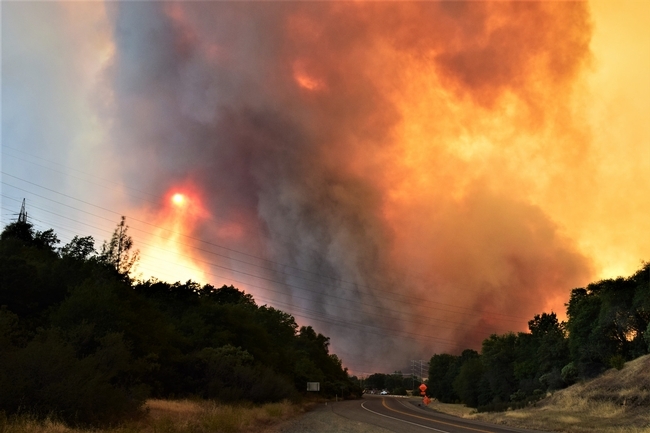 Recent news reports have informed the public about extreme flooding in Japan, record-breaking heat in Europe and catastrophic wildfires in California. "This summer has made a difference in the public perception of how profound the threat of climate change already is," Mann said. 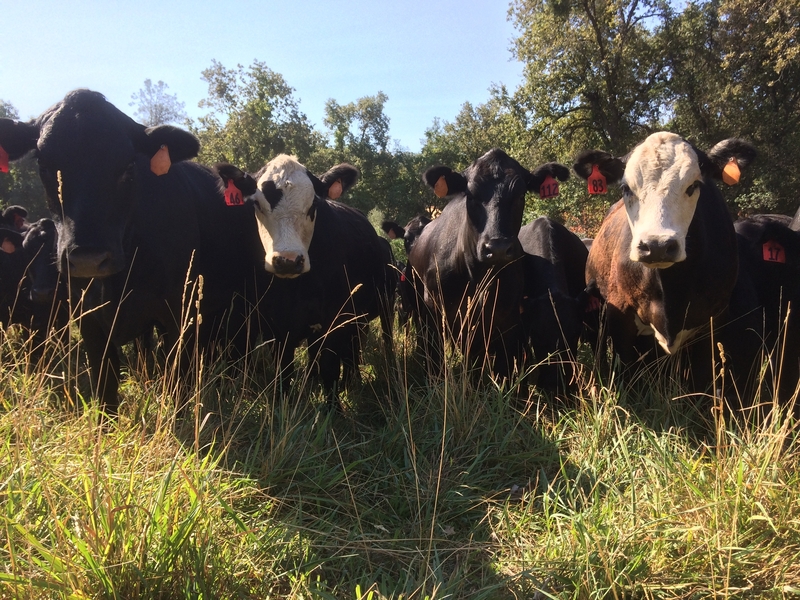 "And I like to think that when they go to the voting booths in less than 100 days, they're going to be thinking about climate change and the need to act on this problem. I think we will see progress." 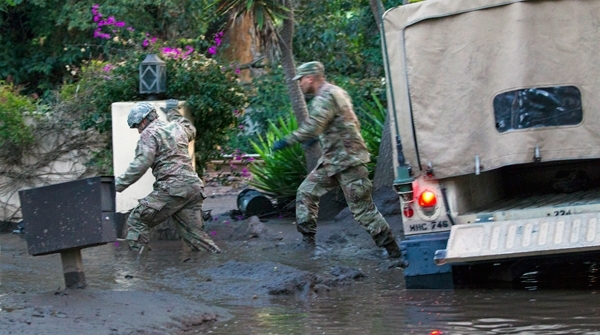 California National Guard members wade through mud to people trapped inside a Montecito home. Air National Guard photo by Senior Airman C. Housman. Maryam Kia-Keating, Ph.D. is an Associate Professor of Clinical Psychology at UC Santa Barbara and a Licensed Clinical Psychologist. Her work focuses on coping and resilience in the context of adverse childhood experiences, trauma, and stress, particularly for vulnerable and understudied populations. She is on Twitter @drkiakeating. You have done research related to resilience and trauma in the wake of disasters in California. What have you learned? It's important to pay attention to the psychological impact of disasters. Oftentimes, there is an initial, understandable focus on basic needs and stabilization in the aftermath of disasters. But neglecting psychosocial well-being is short-sighted. There is a lot of empirical evidence demonstrating its impact on other elements of individual and community health and resilience, both initially and over the long-term. What I have learned in my own research, as well as from work by many others in disaster mental health, is that recovery takes time and has many phases. It can be different for different people who experienced the same disaster, and it is important not to judge one person's experiences and reactions by another's. For example, after a wildfire, one family described enjoying a newfound sense of cohesion and camaraderie with their neighbors. At the same time, they experienced conflicts and tensions because of the differences in what people needed, and the fact that their reactions that were sometimes poles apart. Part of the issue was that the impact the fires had on homes was sometimes vastly different; some were still standing and others right next door were burnt to the ground. It's also clear from empirical data that secondary stressors play a major role. The trauma experienced during the disaster is important, but what you face as a result -- financial stress, displacement, and other burdens -- adds another component that predicts overall well-being in the long-term. A California Air National Guard rescue helicopter with air crews provides search and rescue operations during mudslides in southern California, January 2018. Photo by Staff Sgt. Cristian Meyers. Can you describe the kinds of issues that face people after they deal with disasters? You've written about both trauma and more positive outcomes, like prosocial behaviors, that emerge. A traumatic event shakes your core assumptions about the world as a safe place. That feeling of deep uncertainty and disruption to your own safety and the safety of those you love can be terrifying. The added intensity of personal and material losses can lead to complete and utter disorientation. Some people I worked with described a period of time when they just couldn't focus on anything, walking around with glazed expressions, not recognizing familiar people and places. At the same time, well-meaning people and organizations tried to provide them with assistance, but they were challenged to receive the benefits. Following that initial period, they described disrupted relationships. This led to a sense of isolation and disconnection because they were still struggling even though the disaster itself was long past, and they felt ashamed or that others couldn't understand. Several families I spoke with after losing their homes to a wildfire just fell apart over time. They stopped speaking and went their separate ways. They didn't have any resources left within themselves to deal with the losses they had experienced. In the case of a husband and wife, they coped with the disaster very differently and found they didn't know where their common ground had gone or how to find it again. It is also important to recognize that, yes, there are positive outcomes that people and communities can experience, including finding new meaning and increasing their altruistic and prosocial behaviors towards others. This kind of resilience, or even what's called post-traumatic growth, can happen for anyone. But, no one should feel flawed in how they respond. It takes time to build the capacity for resilience, and it's especially helpful to take a trauma-informed lens to help support people and communities in developing it, rather than judging those who don't show it right away. We do a lot to encourage people and communities to have their emergency preparedness plans and kits ready, but not enough to equip themselves with psychosocial “resilience readiness” in the face of disasters. 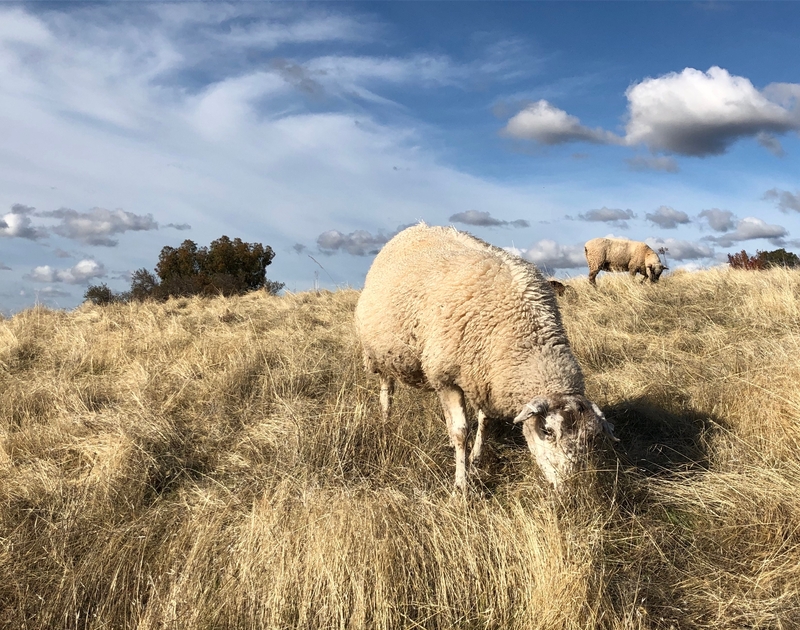 How might people working from more of a natural science background become more trauma informed as they work with individuals and communities affected by disaster? 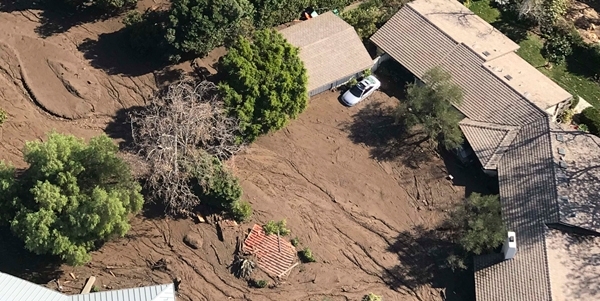 In Santa Barbara, after experiencing the massive Thomas Fire in December 2017 and hazardous air quality for weeks, we were then pummeled by the horrible tragedy of the Montecito debris flow that took the lives of many beloved members of the community. In the aftermath, there has been a surge of connection between scientists, particularly geologists, and the community. People are extremely anxious to understand the science and engage with researchers to comprehend not only what happened, but the potential dangers ahead. 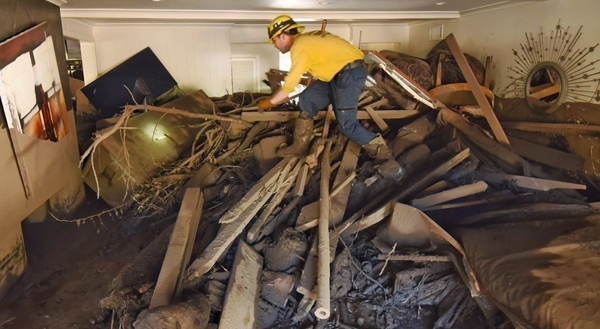 A Santa Barbara County firefighter searches through a home destroyed by a deadly mudflow. Photo courtesy of Mike Eliason/Santa Barbara County Fire. The kind of scientific information that tends to be helpful, productive, and protective for communities in the immediate aftermath of disasters typically focuses on what's most important for immediate safety and stabilization. These are primary goals that approaches like Psychological First Aid articulate in order to reestablish calm and order and reduce distress. In the longer term, of course scientific information can and should be shared, but it's good to continue to be thoughtful and intentional about how and when to disseminate that knowledge to support community change and resilience. Another great resource comes from journalists who report on disasters and other tragedies, and have thought carefully about how to approach these issues. I've been fortunate enough to spend time with interdisciplinary groups at conferences focused on climate change and disasters. These conferences have also opened my eyes to the personal distress that natural science researchers and professionals have been experiencing, in part because they are so attuned to the potential risks in our natural environment. This knowledge can heighten their fear and sense of urgency. Those who help communities respond to disaster can experience secondary trauma, or what's called vicarious trauma, which is where people who are responding to disasters or are otherwise exposed to traumatic material can experience the same kinds of post-traumatic stress symptoms. Oftentimes, people are told to monitor and reduce their exposure to traumatic material, but professionals like first responders and natural scientists who continue to study these issues, don't have that luxury. They can't just turn it off because it comes with the territory. But they would be wise to attend to the role of trauma in their work, to minimize its potential negative consequences. One repository of evidence-informed tools is the Vicarious Trauma Toolkit, which is free and easy to access. I'm hopeful that as we raise awareness about these issues across disciplines that we'll see more energy and commitment towards trauma-informed practices and preparations.